Life is about balance - and, as we all know, imbalance. Whether it’s in our work life, personal life, or family life, we’re constantly working on creating, maintaining, and realigning our balance. For most of our day, we are usually balancing our external self - trying to juggle hobbies, jobs, and pleasures without toppling over. However, there is an internal balance that requires our attention as well: it encompasses the physical, emotional, and mental states within the body and mind. Common methods to maintain our internal balance include healthy diets and getting plenty of rest; scheduling a spa day or making time to exercise are also great ideas. However, it can be overwhelming to try and maintain our external and internal needs at the same time. Chakras are an internal balance system that works as a foundation for balancing all parts of our lives. The best way to envision the seven chakras is suggested from the root of its name, which comes from Sanskrit: “wheel.” Chakras are not a hierarchy, though they are commonly depicted this way; each chakra is no more important than another, but can appear more prevalent than another in any given moment of our day. They are constantly in motion among each other, never in perfect balance but constantly fluctuating, carrying energy up and down our spine, where they are housed. 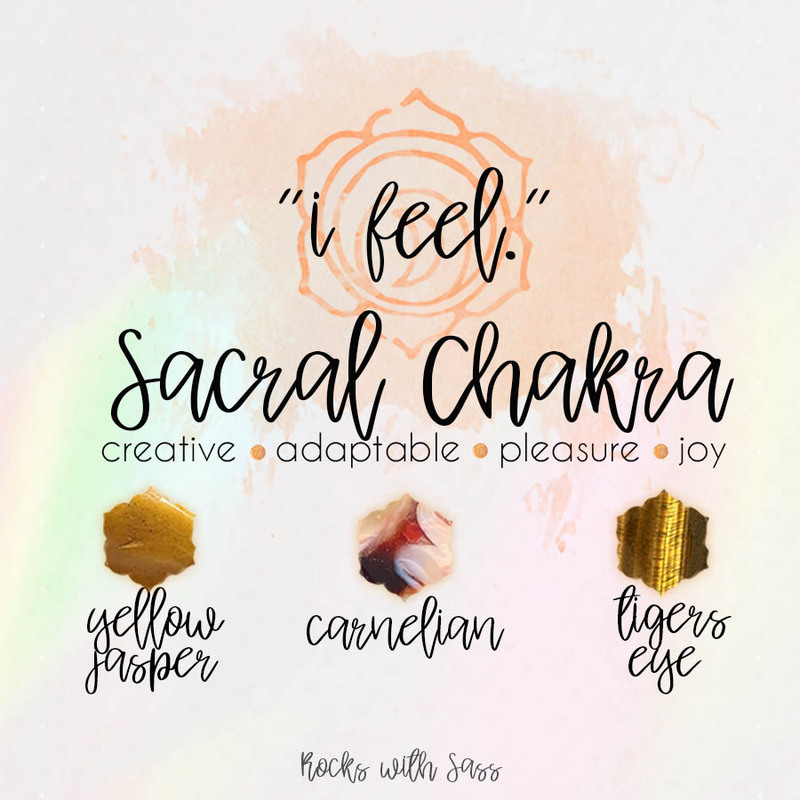 Each chakra has an influence on our physical body, along with a specific color and energy vibration that influences our mental and emotional bodies. These vibrations, which can be positive or negative, constantly resonate within ourselves and radiate into our environments. Imbalanced chakras are a consequence of a chakra being blocked or too open. If a chakra is blocked, it’s positive effects are limited or nonexistent; the chakra has no influence on our being in any way. If a chakra is too open, the opposite effect occurs: the chakra’s positive effects become poisonous on our being; a chakra’s positive influence of confidence twists into over-confidence, resulting in egotism and bullying, as an example. With imbalanced chakras, it’s important to remember that too much of a good thing can be bad, and too little of a good thing isn’t sustainable. Rebalancing the seven chakras can be done with active or passive attention, making it a perfect solution to balancing the internal and external part of life. Light energy is a crucial energy source for passive chakra realignment. Sun light is the best source; the second best light energy source comes from crystals. Active realignment comes by, at its core, practicing happiness for yourself: positive thinking, meditation, yoga, even doing a little dance to your favorite song can aid in chakra rebalancing. Pair these activities with placing or wearing crystals that correspond with the chakras that need realignment. This is the ultimate way to bring balance - and, consequently, happiness - into your body and life. The seven chakras can be divided into the lower and upper chakras. The lower chakras are not lesser than the upper chakras; each group serves a different purpose. 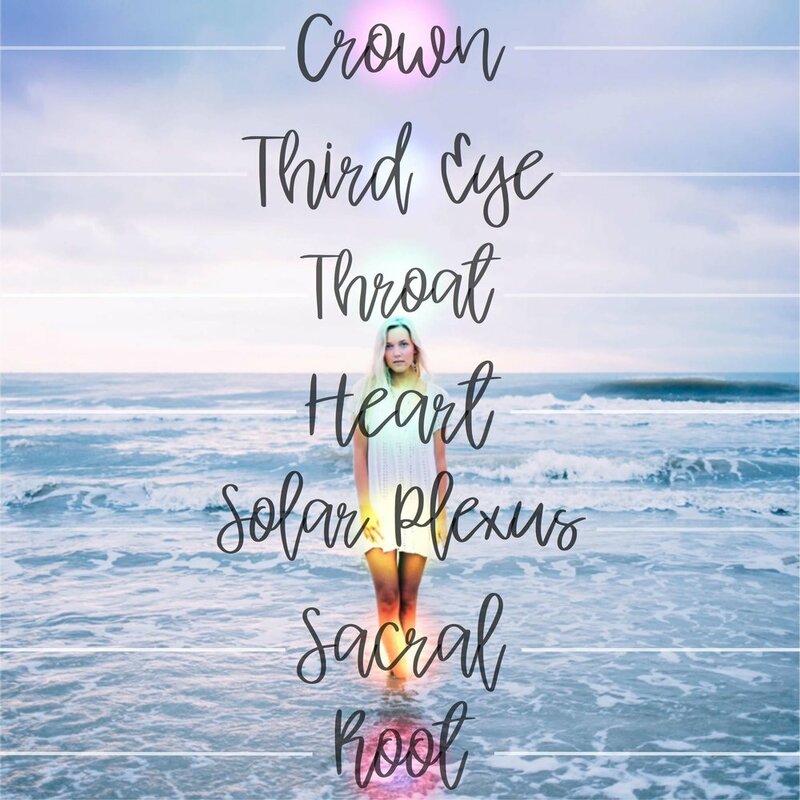 The lower chakras - root, sacral, solar plexus - are more concrete, and primarily influence our physical, every day selves. The upper chakras - throat, third eye, crown - are more abstract and intangible. The heart chakra is the only chakra that isn’t solely lower or upper; it bridges the tangible and intangible. The crown chakra is physically the topmost chakra on our body. It has direct alignment with our mind; its white energy influences consciousness, awareness, personal expression, and absolute perception. The crown chakra can be blocked by alienation or condemnation. 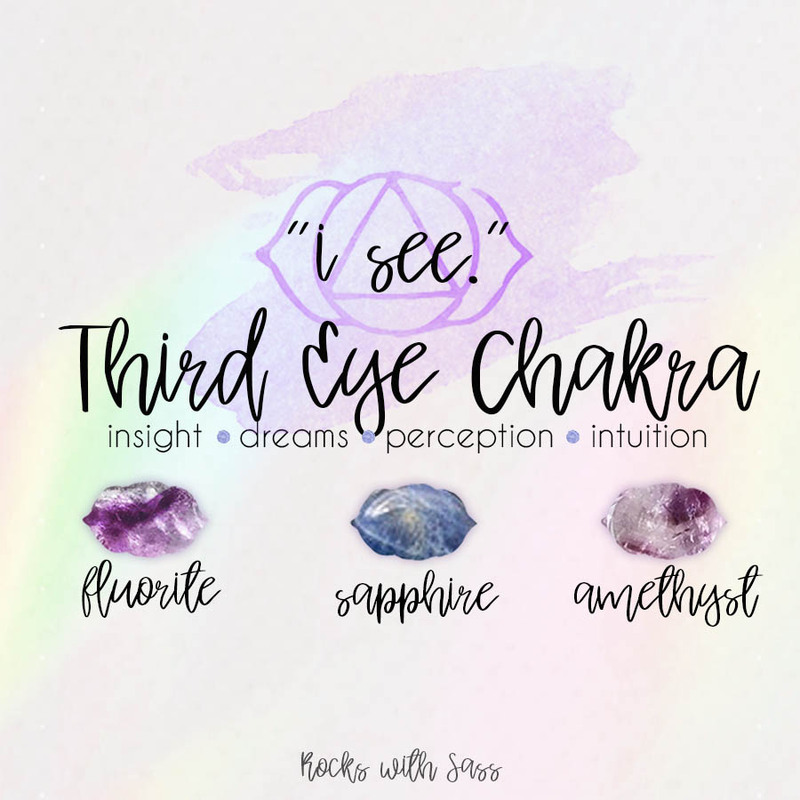 The third eye chakra rules over our intuition, awareness, and wisdom. It guides our ability to think, analyze, and form reason. It is housed where our third eye would be located, between our eyes. This indigo chakra can be blinded by egotism, controlling issues, and eye issues. The throat chakra is the first of the upper chakras, and resides in our throat. Its blue energies influence creativity, communication, and truth. 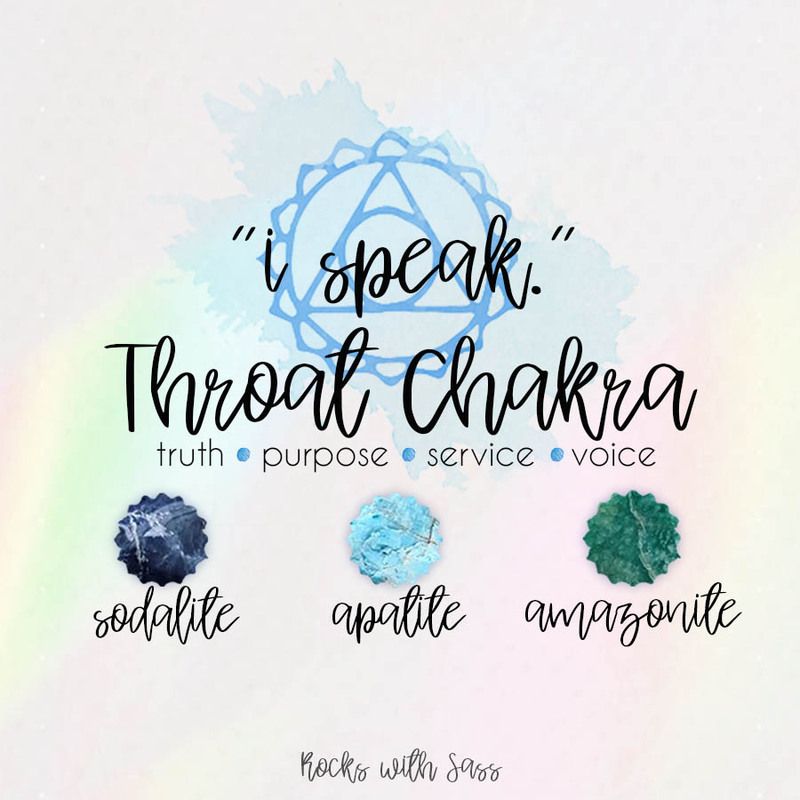 The throat chakra is choked by sore throats, creative blocks, prejudice, and close-mindedness. The heart chakra is the chakra of all love. It is housed in our chest, and can radiate a green or pink energy. This chakra signifies where the upper and lower chakras meet, and embodies compassion, intuition, and contentment. The heart chakra can be blocked by suppression, heart or immune ailments, withdrawn emotions, and rage or hatred. The solar plexus chakra intertwines with the nervous system. It’s our call to action, and where willpower lies. The yellow chakra houses determination, sense of purpose, destiny, self-control, and laughter. This chakra can be blocked by victimization, over-emotional or attached love, or a fear of being alone. The sacral chakra is the emotional chakra. Radiating orange energies, it is located in the body’s core. This chakra affects our emotional health and relationships with ourselves and others. Pleasure, desire, and tolerance are rooted within this chakra. Blockages occur from emotional toil, guilt, and lust. The root chakra is the base chakra, and can be found at the literal base of the spine. It embodies a source of vitality, a life force for the body. Embodying stability, courage, and patience, this chakra keeps us grounded to the world around us. The root chakra can be blocked by paranoia, insecurity, and a sense of disassociation, or displacement from reality. Blockage of any kind disrupts growth.